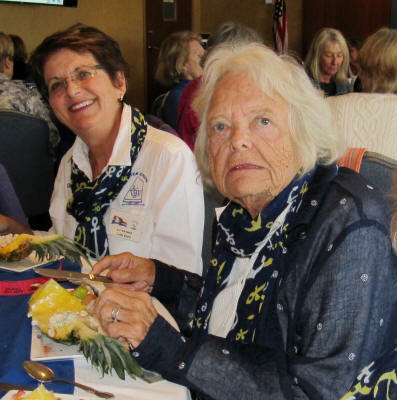 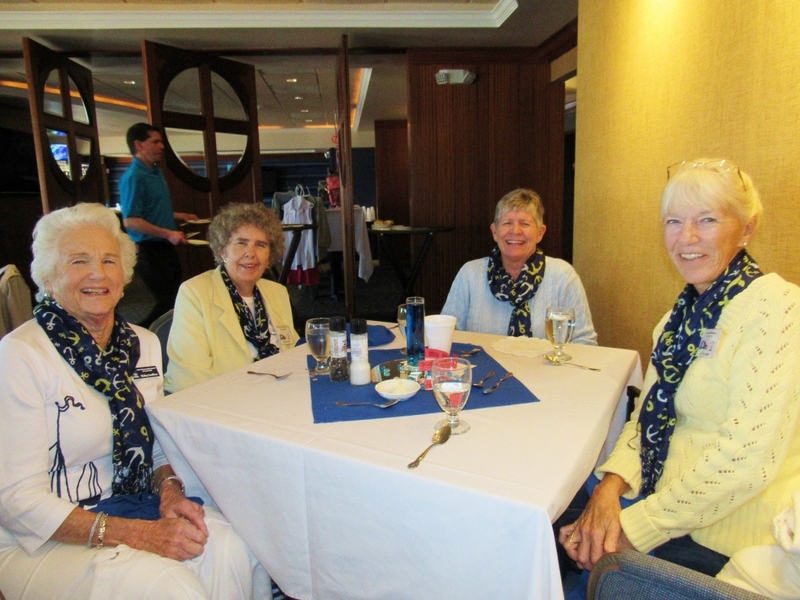 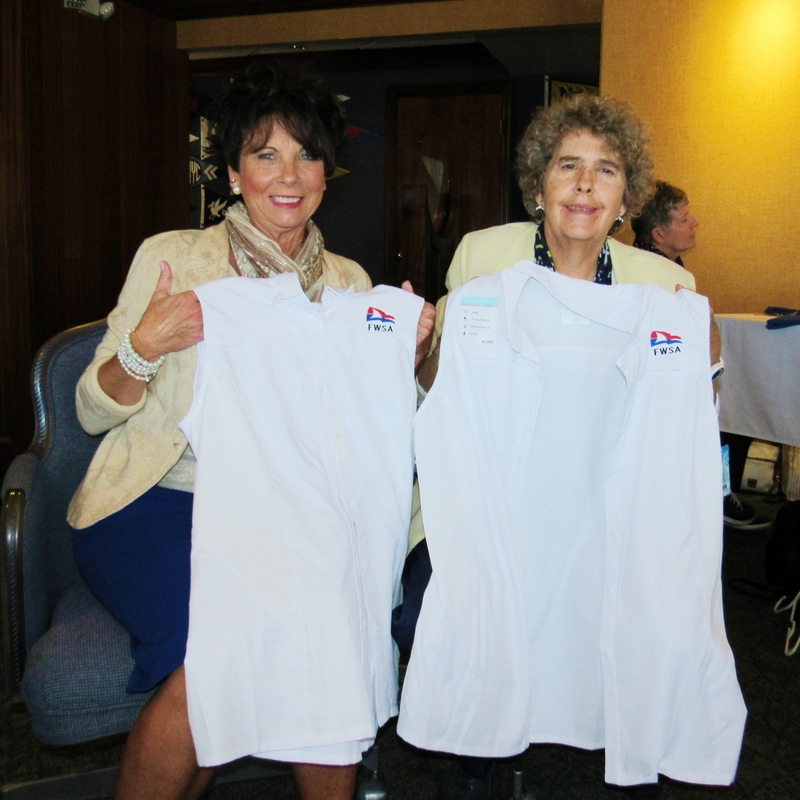 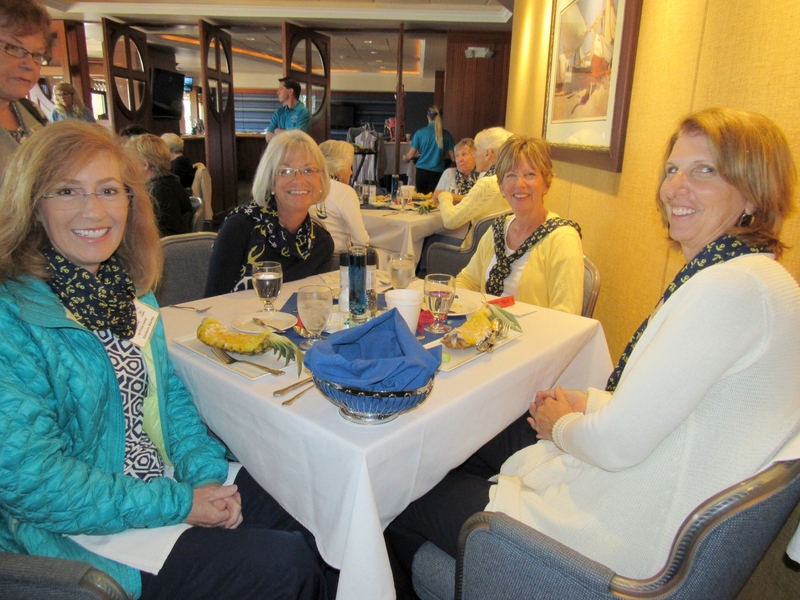 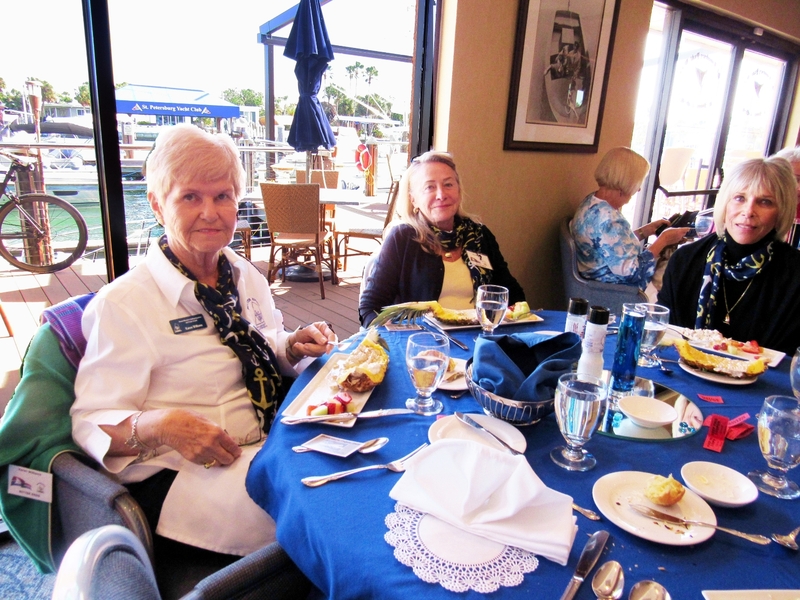 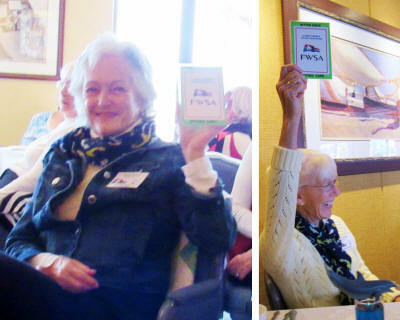 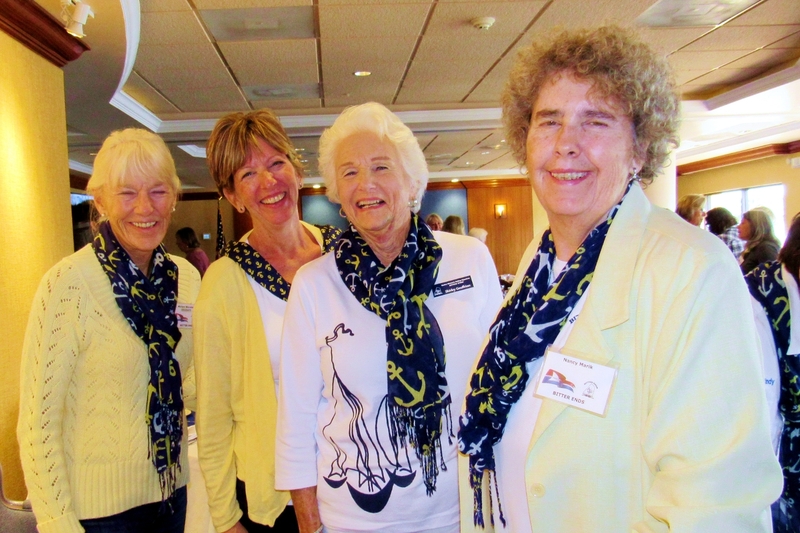 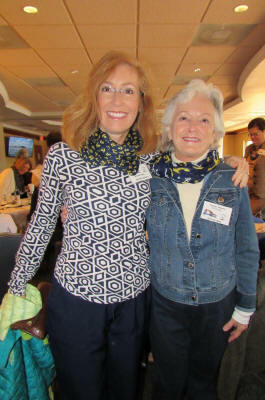 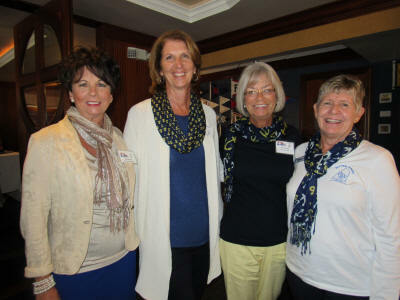 FWSA* January 2018 Meeting hosted by St Pepte's at Pass A Grille "Broad Reachers"
Bitter Ends attend Florida Women's Sailing Association* (FWSA) meeting on Wednesday, Jan. 17. 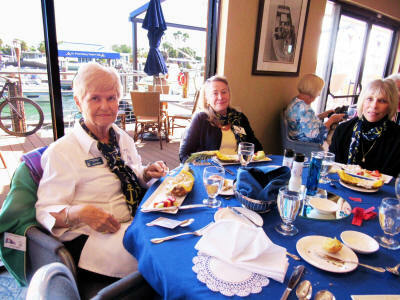 Twenty Bitter Ends signed up to go to Saint Petersburg Yacht Club at Pass-A-Grille Marina. 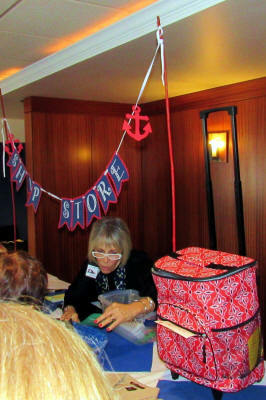 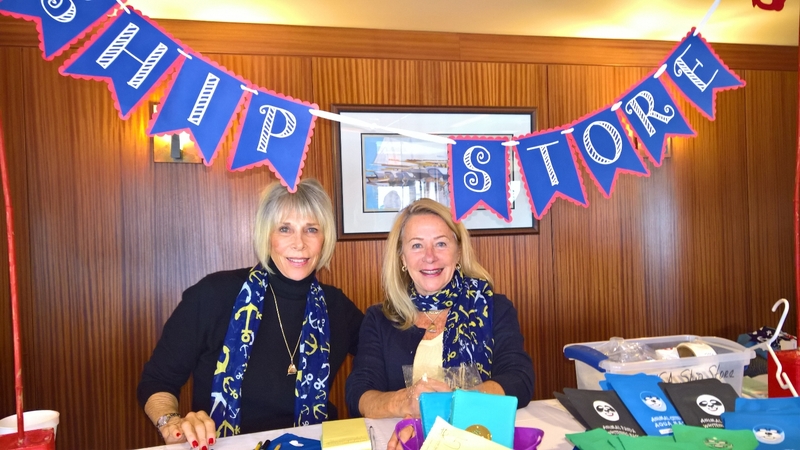 Between the Ship's Store, ran by Bitter Ends Judy Karr and Gloria Casey, and the Re-gifting Sale to benefit the Young Woman Sailor of the Year fund, much shopping was accomplished before FWSA President, our Bitter End, Ann Carroll, opened and lead the meeting. 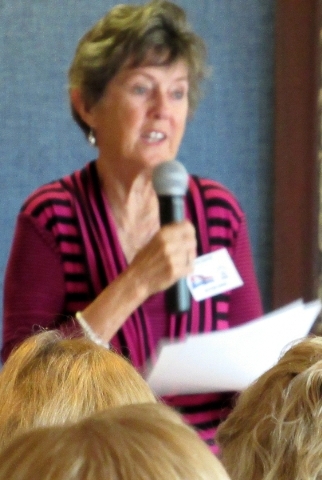 Delegate Past Captain Carolyn Holmes gave our interesting Bitter Ends report following the guidelines. 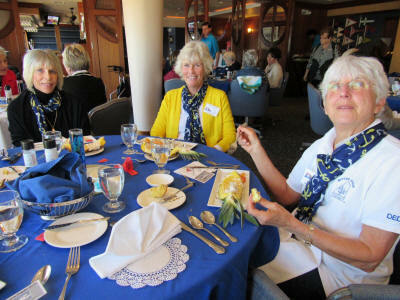 The business meeting was short with some bi-laws changes and questions raised about the new team rules for the Rainbow Regatta. 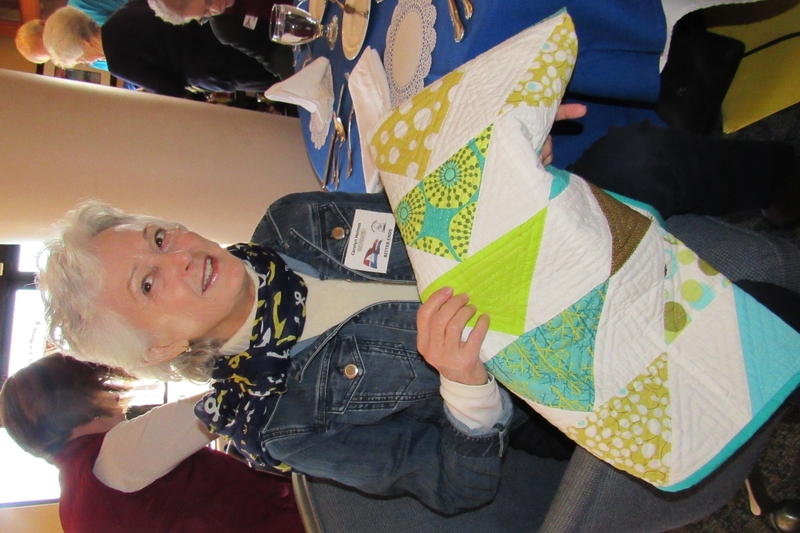 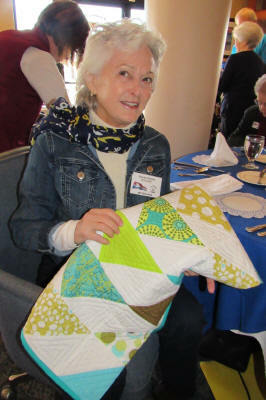 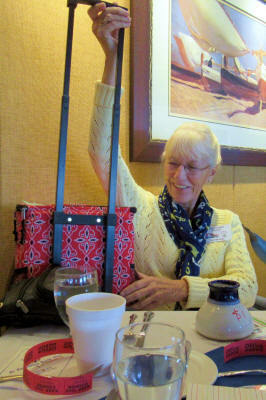 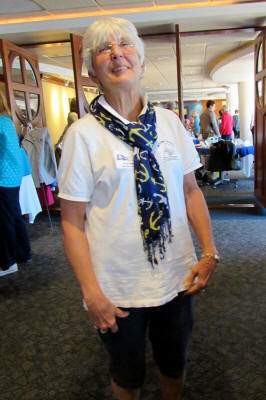 Luffing Lassie Linda Schwartz reported about new club possibilities and her start a club materials. 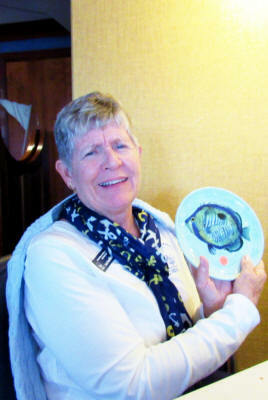 Bitter End Cindy Grant appreciated getting this info to help start a club up north in Canada. 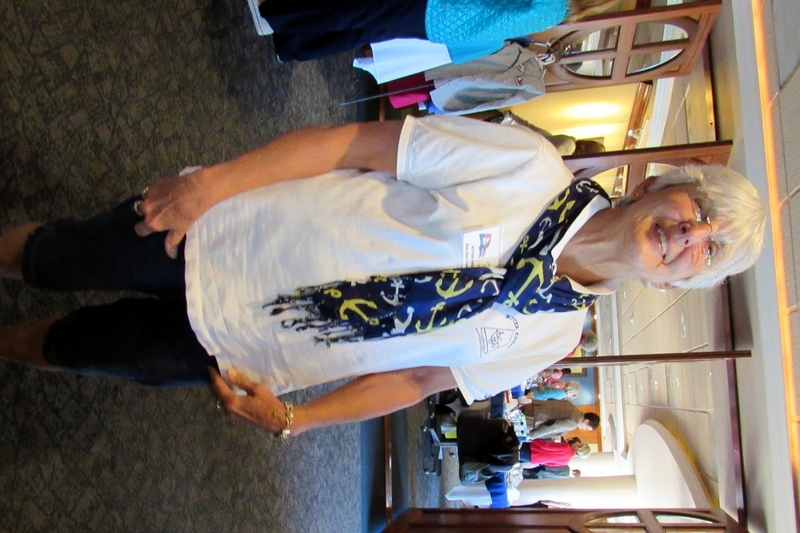 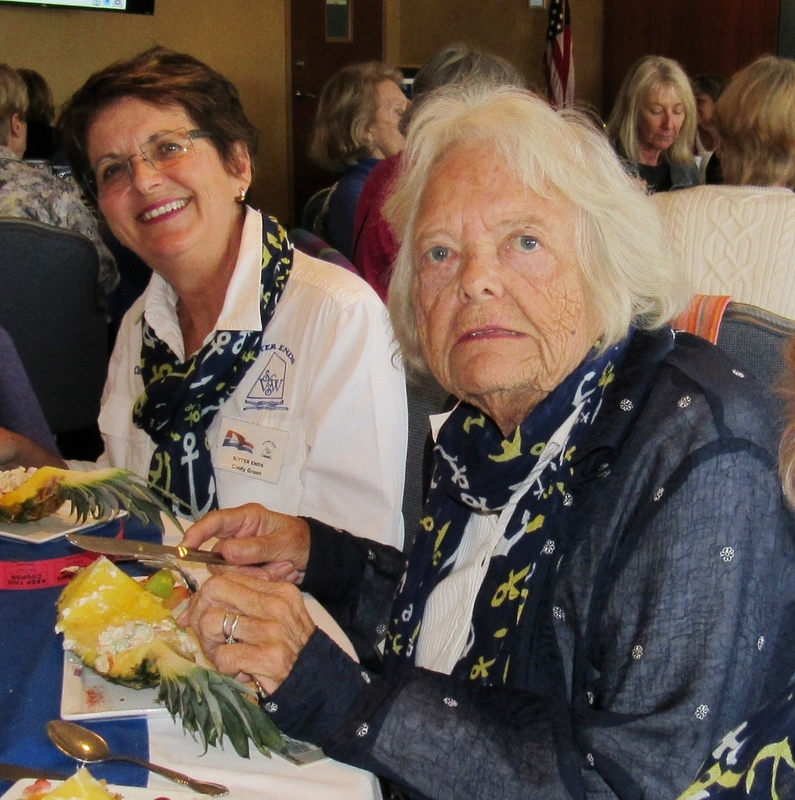 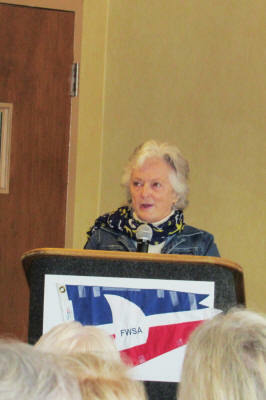 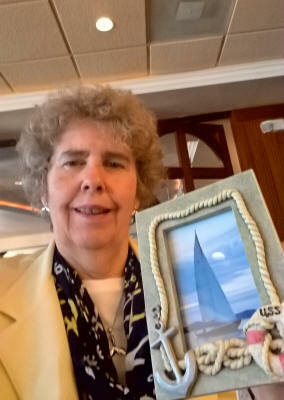 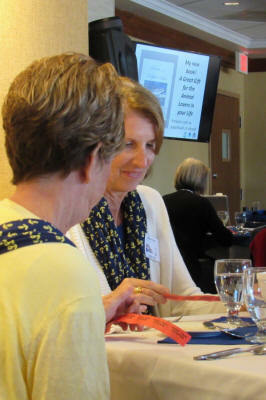 Luffing Lassie Fran Mericle reported on how past winners of the Young Woman's Sailor Award were doing. 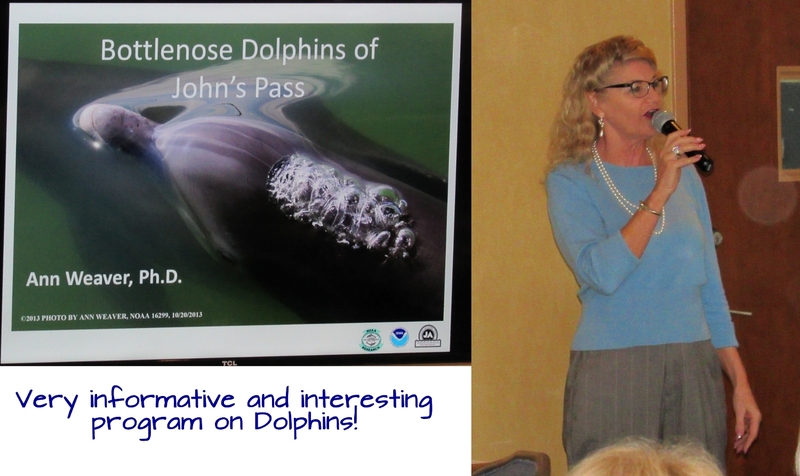 The speaker was Dr. Ann Weaver, a Dolphin Investigator, and author of "Secrets behind the Dolphin Smile-25 Amazing Things Dolphin Do". Her presentation was very informative and interesting and included many, many Dolphin photos. 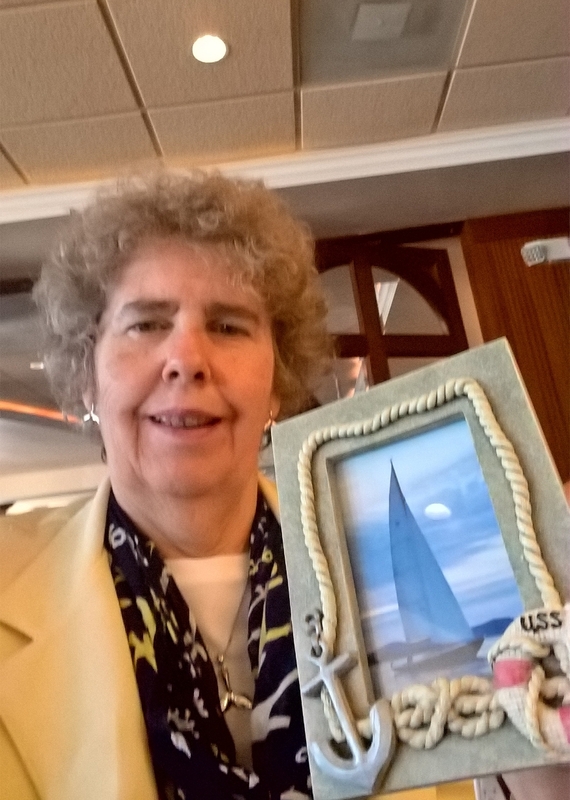 The 50/50 drawing was done, no winner from our Bitter Ends. Lunch was tasty and served on a fresh pineapple section with peppermint ice cream for dessert. 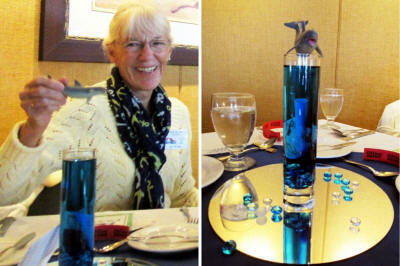 Note the centerpieces were little dolphins atop slender vases with blue liquid and complemented the speaker's program. 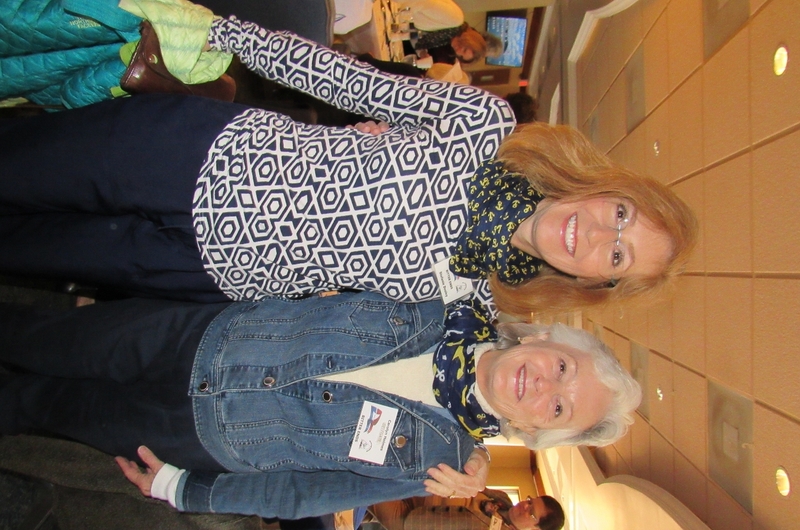 Report and Pictures by Nancy Marik. 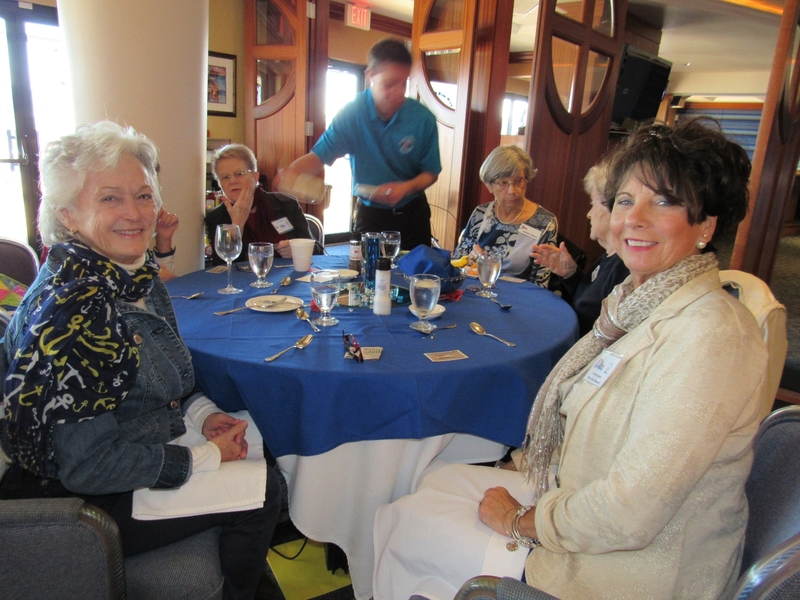 See more pictures below!